The number of new job losses continues to decline. 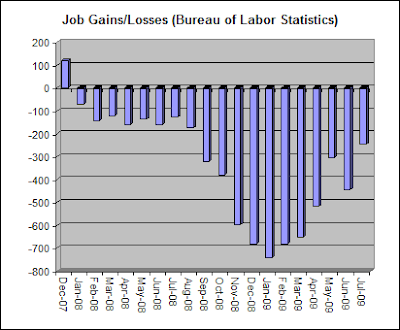 Compare these U.S. Bureau of Labor Statistics job loss numbers with the numbers from Automatic Data Processing, which I published on Wednesday. The unemployment rate is no longer spiking. It may drift upward at a slower pace if we have a jobless recovery, but the end of a sharp upward spike has historically been a sure sign of the end of a recession. 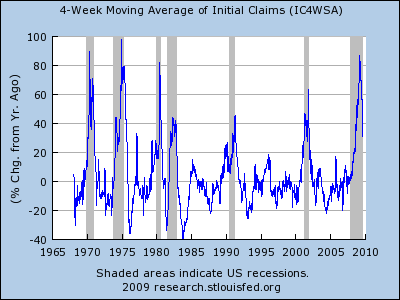 Weekly initial unemployment insurance claims peaked about a month ago. This graph shows the year-over-year percentage change for emphasis. Finally, the bulk of the economic stimulus package is yet to be spent. That's a lot of money that will be dumped into the economy over the next year or two. So yeah, likely is over. I find it interesting how these things are called. It wasnt til sept 08 the govt came out and said weve been in recession since Jan 08. Now we are likely out of it, but it wont be officially declared as such til Jan/Feb2010 at the earliest? I think you're right, anonymous. The declaring of the beginnings and ends of recessions always has a significant lag. "Finally, the bulk of the economic stimulus package is yet to be spent. That's a lot of money that will be dumped into the economy over the next year or two." I large part of the stimulus is for our much neglected infrastructure anyway. Now that we are in the phase that it was suppose to have stimulated the economy will it continue to provide the needed boost promised? I don't really care, I'll enjoy driving on the newly paved highways regardless. They're starting to look and feel like the German autobahn. I hadnt read that - thats scary. Just goes to show why the govt shoudnt meddle so much. Once this thing "gets going" we are already out of the recession it was designed to prevent? If the fed is smart, it will start thinking about pulling back on the rate throttle soon. Last time this happened, Greenspan kept his hand on the throttle til well after the tech bubble burst, helping cause the housing bubble. This time around, the fed needs to raise rates soon, even if it risks a W shaped recession. The chance of another bubble (perhaps a green energy bubble)? is just too great. I don't think you guys really realize how deep the problems really run. People want to get back to unsustainable levels of life...it ain't going to happen and it's wishful thinking on most of your parts. 1. I think we are in the midst of the most massive, painful, global reset in nearly a century. 2. I think we have hit bottom. 3. I think we are in store for 6-15 years of underperformance at best, stagnation at worst. How exactly is this "wishful thinking"? your points 1 and 3 conflict with 2. If we are almost at the most massive painful reset with 15 years of underperformance ahead of us....how can we be at bottom now? perhaps its wishful thinking to be at bottom this moment if you believe your other two points? You know - every time I want to think this has to go on further. I remember when Nouriel "Dr. Doom" Roubini said last fall that the 4Q08 and 1Q09 would be awful, 2Q09 down slightly, with the recession ending in Q309. I remember thinking at the time, no way we get out of it that quickly - cuz at the time things felt awful - absolutely awful. Roubini never waivered on his prediction - and for Q4, Q1 and Q2 have been absolutely spot on. Since he still maintains its over in Q3 and its now Q3, and he hasnt been wrong yet im not gonna contradict him now. I still want to say it goes on longer, but with so many things going much better than I thought, if I do, im no better than the bulls who used to insist "its different this time". What exactly is "going on much better?" Roubini never claimed Q3 would be the point that it's over. And he's been broadly correct...not specifically. This is not an on/off switch scenerio that everyone thinks it is. We're not going to wake up October 1st and be in the positive all of a sudden. How can anyone claim things are getting better when there are mountains of homeowners, defaulters, bailers, failing banks, etc that are not even accounted for yet? I think people are getting really desperate to point to any improvement as a metaphor for being the light at the end of the tunnel. If metaphors are what people need to understand this current global situation, then I've got one...we're looking at a mirage in the middle of a desert. I think job losses are probably over. However the money without credit and income gravy train is over. So yeah, if you are worried about losing your job, take solace that you can find another. If you are worried about your house tanking more in the DC, you have a reason to be sh*tting bricks. Me, I will buy your foreclosed house in 2011 or 2012. Nice knowing you, at least you can find a job somewhere else after you lose your home! What about the last 11 years? Have not we been through the lost decade? Compare the current S&P 500 level (about 1000 points) to that back in middle 1998. It is almost the same, and the dividend yield has been a paltry 1 to 2%. If we have another 15 years of dismal performance, than that means almost an entire generation will have missed out of any reasonable gain (i.e., 8 to 9% annual return on investment) over a 25 year period. It wont be over until we can put a dent in our ballooning national deficit and not have to rely on bonds for new money. Right now, we take money from the taxpayers, then give it back to the taxpayer (and/or banks)in the form of a "stimulus". The bond market takes from peter to pay paul, in other words we issue new debt to pay old debt. The interest compounds, and the citizens are on the hook to pay that back. Can someone tell me where real economic growth has developed??? What do we produce? 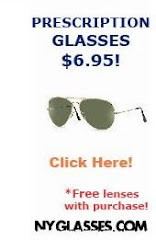 How much are we saving? Very little is the answer, yet we continue to believe that a borrow and spend economy is sustainable. IT AINT OVER, IT'S JUST BEGINNING. Keep in mind, those statistics do not include people who have given up looking for work. That can skew the numbers down and make it look like the emloyment situation is better than it is. 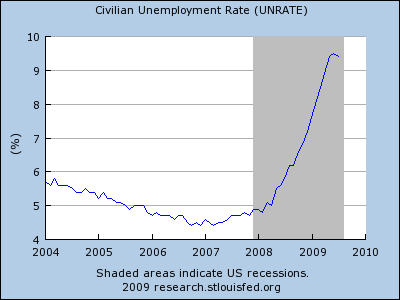 Actually, that only applies to the unemployment rate, not the payroll numbers. Also, that has ALWAYS applied to the unemployment rate, but that has not prevented the end of the upward spike in the unemployment rate from being a reliable sign of the end of a recession.